You know this thing about Mighty Magiswords Games? The number of Cartoon Network Games categories on our website is now growing even bigger with the addition of the Mighty Magiswords Games category. We hope that you will start playing Mighty Magiswords Games, and join a world full of adventure, magic and a lot of interesting swords. In Mighty Magiswords Games you can find 6 games that we've published for these kids and childrens that are interested to play Mighty Magiswords Games, this game gategory have been created on 14.06.2016. These games with Mighty Magiswords Games have been voted 1 times and the avarage of vote is 5.00 stars. 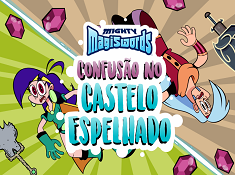 We advice you to play the last flash game from Mighty Magiswords Games, Confusion in the Mirrored Castle that have been published on 22.05.2017 14:00. Confusion in the Mirrored Castle its a part of Mighty Magiswords Games category and until now its played 705 times. Try it now on Cute-Games.com! If your like the Confusion in the Mirrored Castle game you can write a comment in the game page. Recommend this game to your friends if you like it! 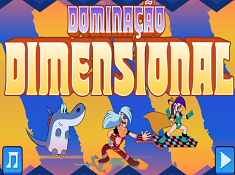 Mighty Magiswords Dimensional Dimension its a part of Mighty Magiswords Games category and until now its played 1486 times. Try it now on Cute-Games.com! If your like the Mighty Magiswords Dimensional Dimension game you can write a comment in the game page. Recommend this game to your friends if you like it! 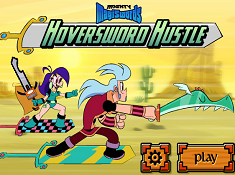 Mighty Magiswords Hoverswood Hustle its a part of Mighty Magiswords Games category and until now its played 1555 times. Try it now on Cute-Games.com! If your like the Mighty Magiswords Hoverswood Hustle game you can write a comment in the game page. Recommend this game to your friends if you like it! Mighty Magiswords Memory its a part of Mighty Magiswords Games category and until now its played 1065 times. Try it now on Cute-Games.com! If your like the Mighty Magiswords Memory game you can write a comment in the game page. Recommend this game to your friends if you like it! 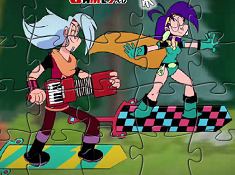 Mighty Magiswords Jigsaw Puzzle its a part of Mighty Magiswords Games category and until now its played 800 times. Try it now on Cute-Games.com! 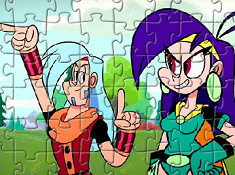 If your like the Mighty Magiswords Jigsaw Puzzle game you can write a comment in the game page. Recommend this game to your friends if you like it! Mighty Magiswords Puzzle its a part of Mighty Magiswords Games category and until now its played 972 times. Try it now on Cute-Games.com! If your like the Mighty Magiswords Puzzle game you can write a comment in the game page. Recommend this game to your friends if you like it! Find More About Mighty Magiswords Games! If you love swords, action and adventure, then you really have to check out the latest Cartoon Network Games category we have created for our website, which is the Mighty Magiswords Games category, which is the page you find yourself in right now! The Mighty Magiswords Games is another category that we have created way before the full-length series has started airing, and you know why is that: because on www.cute-games.com we are always ready to create categories based on some of the latest shows which are airing or are going to air, and in 2016 you are going to be able to watch Mighty Magiswords on Cartoon Network, which is set to be one of the best new original shows from this network, and on www.cute-games.com you will be able to play wonderful Mighty Magiswords Games even right now, months before the show has started it's run. Of course, maybe when you are now reading this, the show has already started and got you captivated, which is why you searched the internet for Mighty Magiswords Games, and that is why you ended up on www.cute-games.com, the best website for all your favorite online games! Now, Mighty Magiswords is a special series, because there are already episodes available, but not on television, but rather online, on Cartoon Network Video, as this was at first a mini-series made for Cartoon Network's website. Still, it was announced that a full-length series is going to start airing on Cartoon Network in the fall of 2016, and in preparation for that moment, on www.cute-games.com we got to work right away, to create the Mighty Magiswords Games category, write it's description, and add as many Mighty Magiswords Games we can find at the moment, and also, create some games for you, because we are interested in providing you with a lot of original content. Of course, at this moment, we cannot provide you with a lot of information about the series, but still after doing a lot of reading online, we think we can tell you enough about the show and the Mighty Magiswords Games on our website as to get you excited for them, and to make you want to play them, and have a lot of fun! The two main characters we are going to follow in Mighty Magiswords are the brother-sister combo of Vambre and Prohyas, who call themselves "Warriors for Hire". What do these two warriors do? Well, the two sibilings go around the world doing missions for anyone who hires them, having fun in all kinds of comic adventures. Another thing they do is collect some of the most interesting swords in the world, like the cheesburger sword, dolphin sword or mummy sword, each of them having a different and unusual design, but also some kind of power which helps the silibings complete their missions. 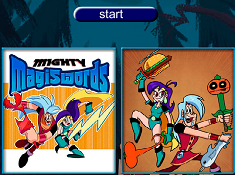 At first, Mighty Magiswords was a part of a Cartoon Network application, an app where kids could choose some of these interestings swords, and learn things about them and see them in action. We are sure that the show will be filled with a lot of interesting things that will happen, with many interesting swords as well, and you will all enjoy the adventures of the Warriors for Hire, especially by playing Mighty Magiswords Games, only here, on www.cute-games.com! So far, you are able to play a puzzle game in the Mighty Magiswords Games category, but we will make sure that all kinds of new games will be added to the category, so that you will have as many Mighty Magiswords Games at your disposal, because we think that it will make you very happy. Of course, when you are done playing the Mighty Magiswords Games on this page, you can always go visit the Cartoon Network Games category page, where you will be able to find a lot of similar games that are also very interesting, based on shows from the same network, and since almost all the shows on Cartoon Network resemble each other, especially in themes and in action, we are sure that you will enjoy all those games as well. Of course, we hope that you will also tell all your friends about the Mighty Magiswords Games category that you can find on our website, and that will make them visit www.cute-games.com, where they will be able to play a great deal of other interesting games when they are done with these. Now that we are done with explaining the Mighty Magiswords Games category, all that there is left for you to do is to start playing the games on this page right now, and start having fun! If you like any of the Mighty Magiswords Games on our website, you can always vote for them, so that they get into the top, and why not leave a comment on them, and give us your opinion about the category and it's games?